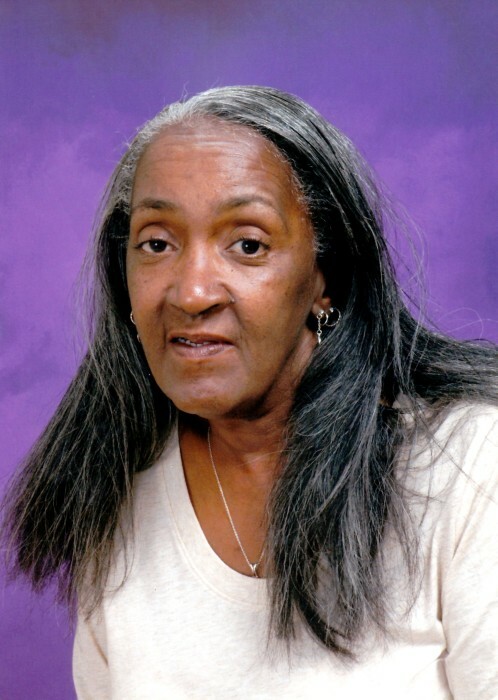 Yolanda Elise Crutchfield was called home on Tuesday, June 5, 2018 at the age of 64. Yolanda was born on November 19, 1958 to Harrison L. Madison and the late Delores Betty Patsy (Talley) Madison. She was a graduate of North Side High School Class of 1973. She accepted Christ at an early age and later in life joined the Lighthouse Deliverance Cathedral under the pastorate of the late Pastor Melvin Bolden. After his passing she joined the Isaiah 61 Ministries under the leadership of Pastor Carolyn M. Sherrill. She worked many years as a daycare worker. Yolanda loved reading, especially her bible; playing phone app games and watching religious programming. We loved her but God loved her best and she will be dearly missed. Yolanda’s memories will be cherished by her children, Datavis L. Madison, Cherissa (John) Crutchfield and Austin Crutchfield; her father, Harrison L. Madison; siblings, Tamara Madison, David (Monica) Wiley and Kevin (Shelia) Wiley; her grandchildren, Lauryn, DaVon, Shaun and Alyssa; a great-grandson, Xzavier; her nieces and nephews, Andrea Madison, DeAndrea Wiley, Kevin Wiley, Jr., Dematrie Wiley, Quinten Wiley, Savannah Wiley and a great-nephew, Andrew Wysong along with a host of cousins and friends. Yolanda was also preceded in death by her grandparents, Fealing and Mona D. Talley and Harrison G. and Carolyn (Walters) Madison.